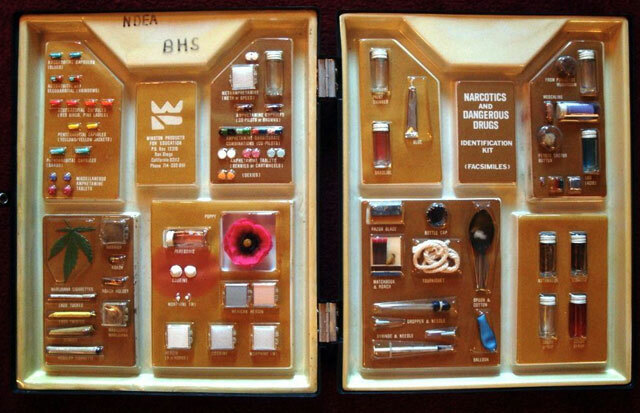 A few years ago, I posted photos of a vintage educational gem from my private collection, a Narcotics & Dangerous Drugs Identification Kit. 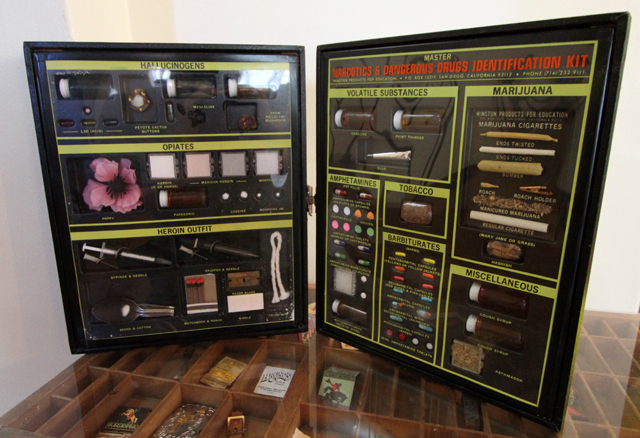 Created by a San Diego-based company called Winston Products for Education, this tool was made so schools, scouting organizations, and law enforcement agencies could easily identify illicit drugs. It contains harmless facsimiles of a variety of drugs popular at the time (which I estimate to be the late 1960s/early 1970s). Over the years, my kit’s images have appeared in online publications all over the world and people often ask if it’s for sale (it’s not). I am happy to report that another kit one has popped up! A delightful woman named Janet recently wrote me and let me know that she not only has one, but hers is for sale. If you want one, this is your chance. Of course, then I had to look on Ebay for more of them. Only two others came up in search results, and both had already been sold. 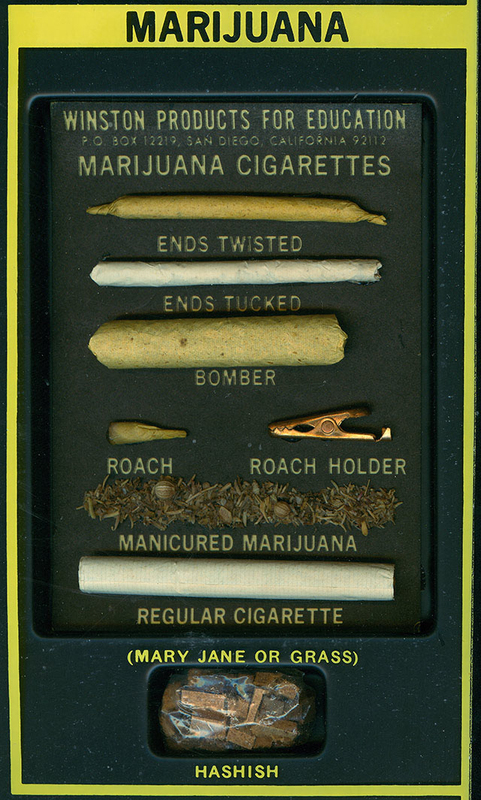 The Dangerous Drugs—Identification Kit contains harmless facsimiles of the more commonly abused dangerous drugs. 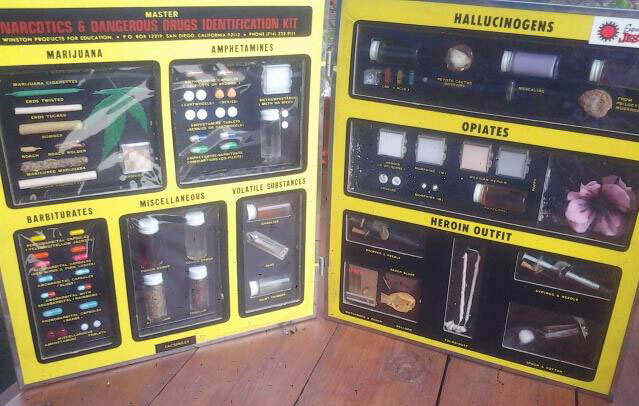 The Kit was designed to be used primarily as an instructional aid in educational and training programs directed toward combating the existing narcotics and dangerous drugs problem. It consists of a plastic container which is transparent and durable. 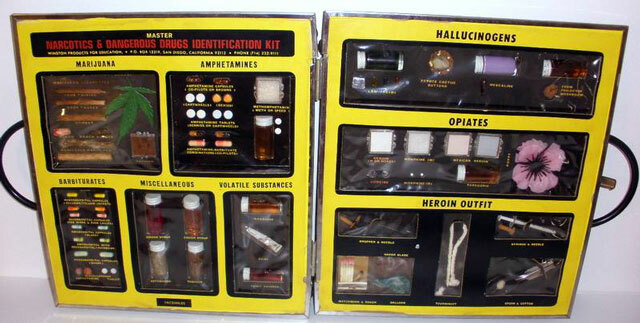 Plainly visible within the container are facsimiles of amphetamines and barbiturates, reproduced with exacting fidelity in terms of color, size, shape, and other distinguishing characteristics. BUY Janet’s drug kit on Ebay!